This week let’s see who comes to BPF. 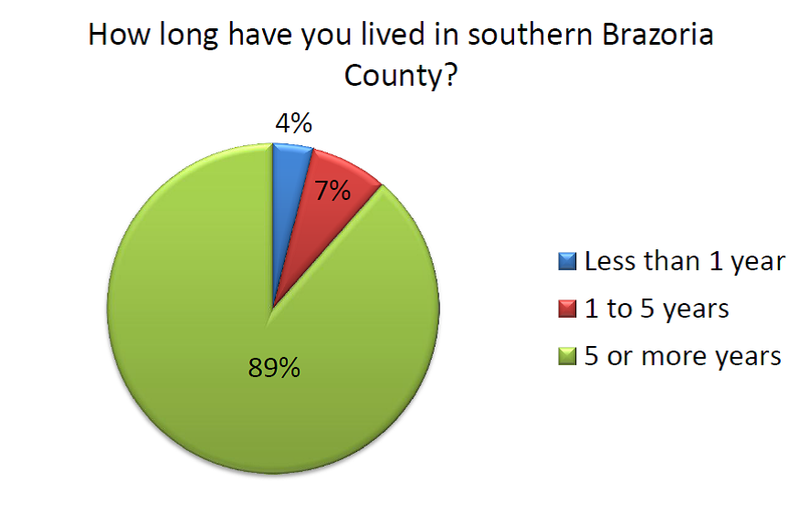 How long have you lived in Southern Brazoria? This reflects a demographic we already knew. The population of Southern Brazoria County has remained relatively unchanged for years. That could be changing with all the industrial growth in Freeport, Sweeny and Bay City. This survey represents a significant demographic shift – in several directions. Until we moved to our new campus on the Brazoria Road most of our congregation has been from the Lake Jackson / Clute / Richwood area; with a fair sized number of folks from West Columbia / Columbia Lakes. Now much of our growth is coming from West of the Brazos. 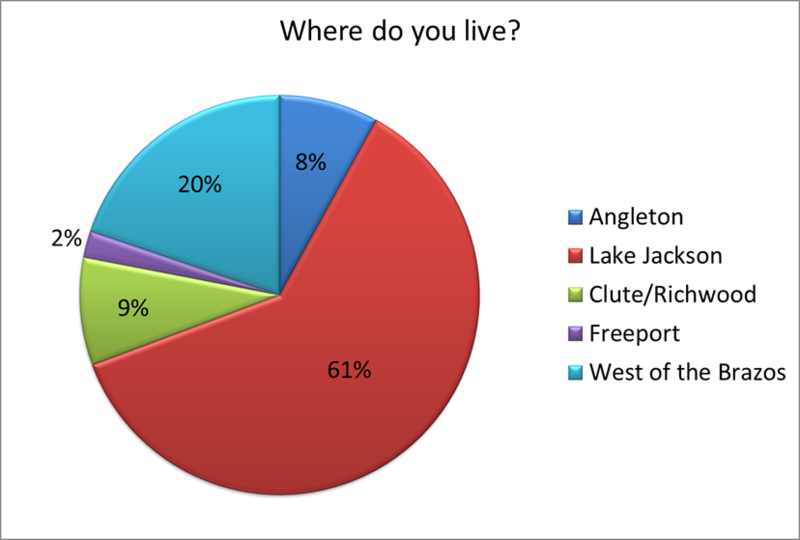 And the number of people who call Freeport or Angleton home is also increasing. We’re not just growing numerically. Our reach is also expanding into communities to the west, north and south. Next week we’ll take a look at age and relationship status.